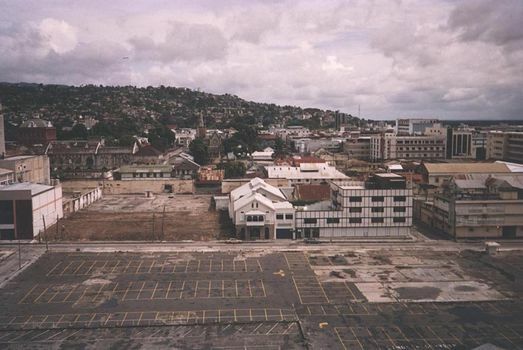 Let's try a transect, moving from Port-of-Spain to the east coast. 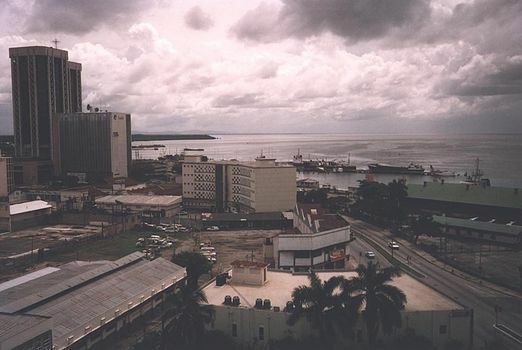 Port-of-Spain's harbor, with its cruise-ship complex on the right and, on the left, the towers of the central bank and national petroleum corporation. 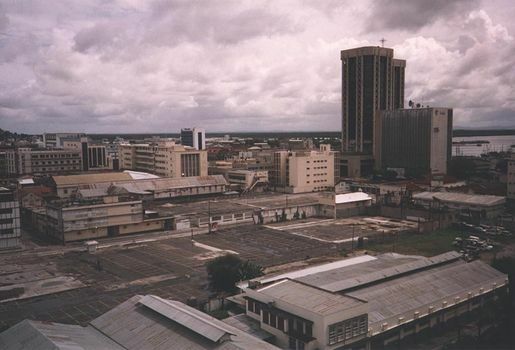 The city center lies in the mid-distance, where, just left-of-center the steeple of Trinity Cathedral may be discerned. Coming around to the northeast. 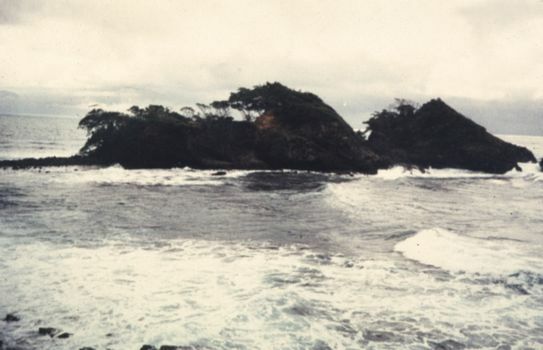 Looking north: we've now made a circuit of more than 180 degrees, and we're back to the water, now on our left. 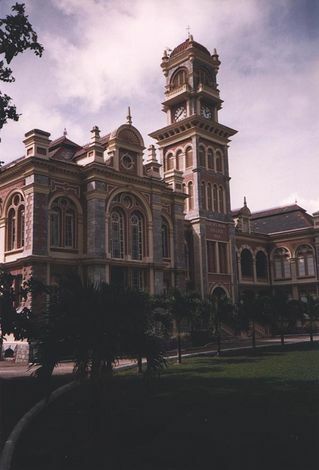 The Queen's Royal College, fronting the city-center Queen's Park Savannah. Its best known graduate may be V.S. 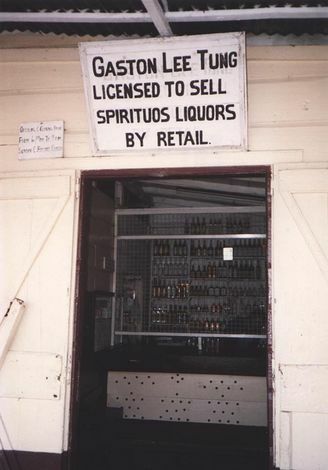 Naipaul, who wrote of it, painfully, in A House for Mr. Biswas. A block to the north, this was the World War II headquarters of the U.S. Army. 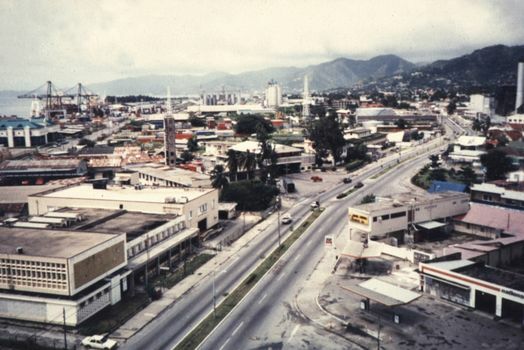 The American military would have a huge impact on the island, despite the futile resistance of Governor Hubert Young, who, seen as obstructionist by the Americans, was removed on Churchill's order. 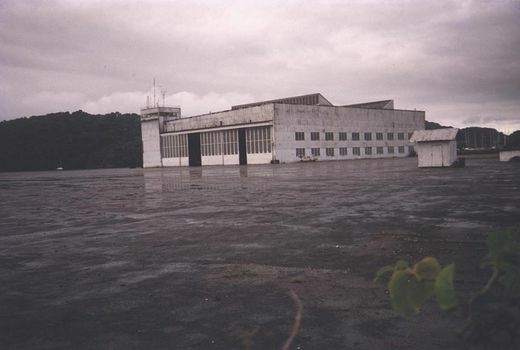 A relic of that American presence: an abandoned hangar at the former American base on the north side of Port-of-Spain. 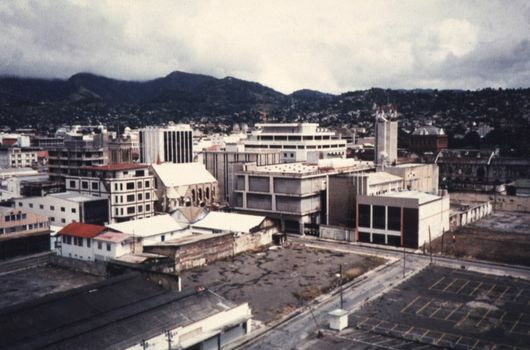 Another relic: Waller Field, east of Port-of-Spain and just past Arima. In the early 1940s a steady stream of American military aircraft landed here briefly, en route to North Africa. 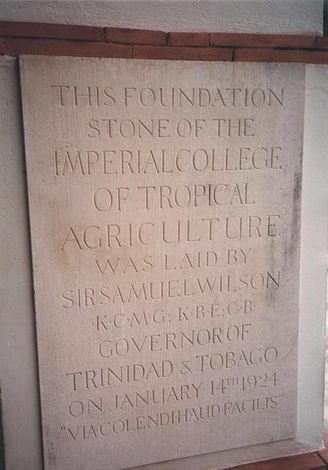 Perhaps the best-known British institution on the island was the Imperial Agricultural Research Station, midway between Port-of-Spain and the international airport at Piarco. 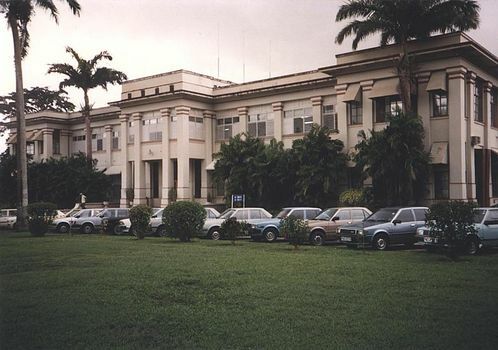 Opened in the 1920s, this institution trained agricultural officers from around the world. 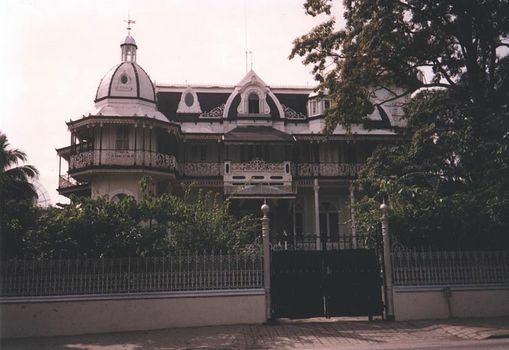 It now houses part of the Trinidad campus of the University of the West Indies. Translation: "The way of the cultivator is anything but easy." Not that knowing Latin helped. On the hills to the north, coffee and cacao plantations were ultimately destroyed by economics and disease. 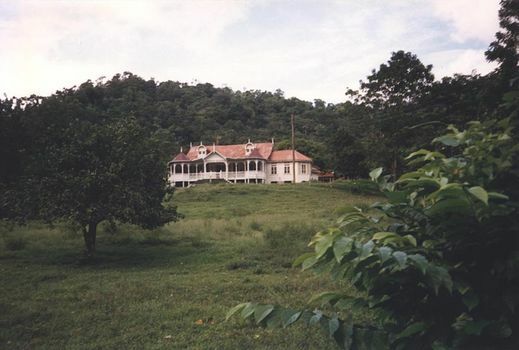 The plantation houses survive. 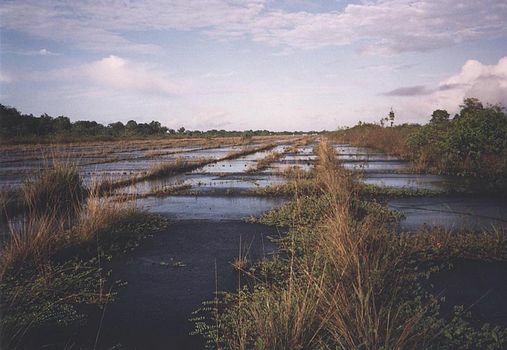 In the far northeast of the island, near Toco, a rural population sought to escape plantation servitude. 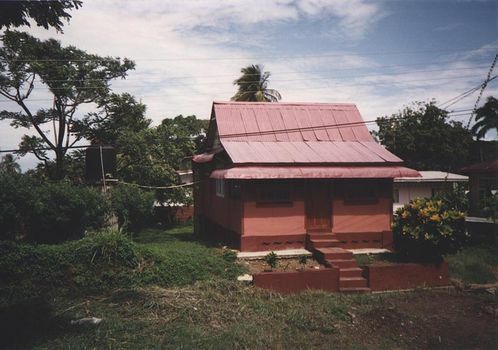 Some of the houses, though small, are meticulously maintained. A Toco merchant, selling from behind heavy screens above the counter. 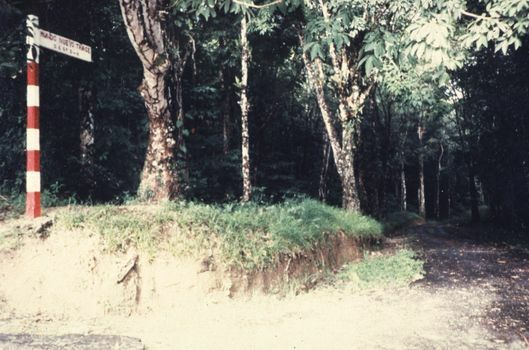 Mondo Nuevo Trace, a road in the forest west of Toco. 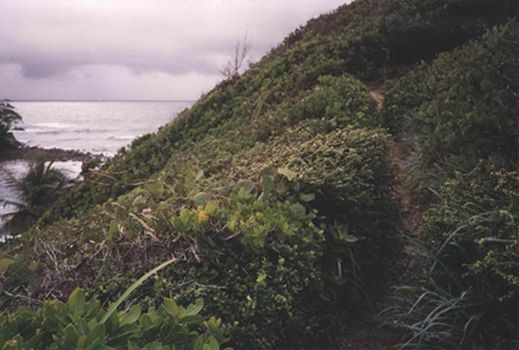 A path through the windswept brush at Galera Point, the northeast tip of the island. A lighthouse was erected in 1897 and bears the initials JVR: "Jubilee Victoria Regina." 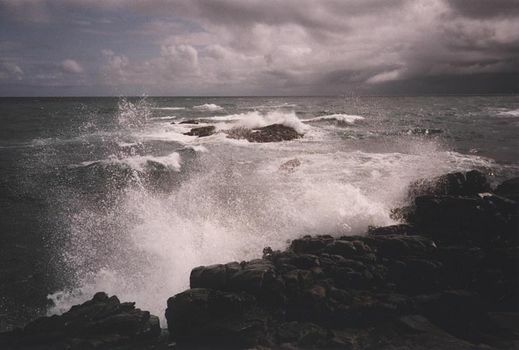 The surf is not only strong under the northeast trades but dangerous, because the Gulf Stream passes here, ready to carry a swimmer to Barbados and points beyond. Windswept islands off Point Galera.